Menswear has evolved significantly in the past decade, the most significant change being a shift toward a more versatile wardrobe. Whereas men were once limited to distinct garments for work, evening, and weekend, we can now enjoy the majority of our clothing across a multitude of settings, all while maintaining comfort, function, and of course, a sharp silhouette. Add in the casualization of society, and we’re living in a wondrous time in which the same items can be worn all day, any day, without compromise. But every once in awhile (especially during these winter months), you’ll find yourself lounging at home over a cup of coffee, catching up on the finer points of the Paris Agreement, or simply catching up on some well-deserved shuteye — and you’ll want something that demarcates kicking back. Something that gives you ease both physically and mentally to really relax. And that’s ok. Even the neighborly paragon of style, Mr. Rogers, was fond of dressing down the minute he walked in the door. 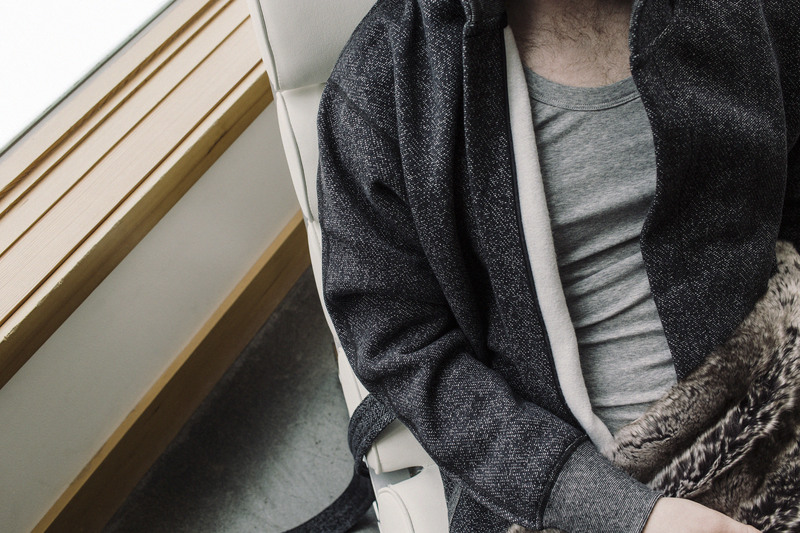 So, for a little extra comfort and warmth in your winter lounge attire, we recommend going all the way with a cotton robe, comfy slippers, and a warm blanket. An Irish Coffee won’t hurt, either. 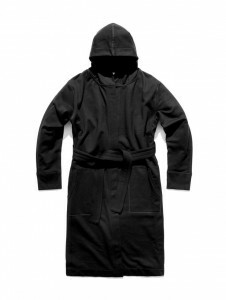 This midweight terry cloth robe from Reigning Champ will take you through the weekend in comfort and style. 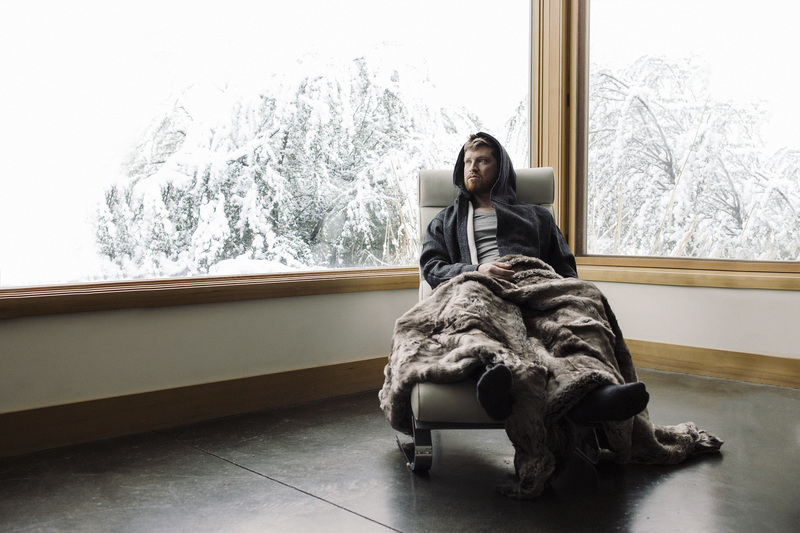 Handcrafted in Canada of 100% cotton, you’ll be lounging in luxury (and staying warm) all winter long. Though you’ll be tempted otherwise, we still recommend wearing something underneath. Schiesser calls their specially developed pima cotton-blend the ‘feel-good formula’. And we now know why. 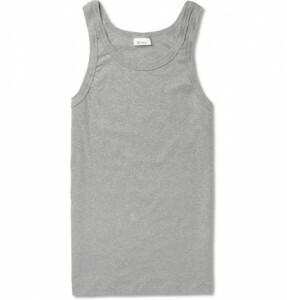 Its comfortable stretch and incredibly soft finish make this tank (or “vest” as the Brits like to call it) luxuriously comfortable. It’s a fail-safe foundation for winter, whether you’re layering it under an oxford or, like here, enjoying a lengthy morning at home. 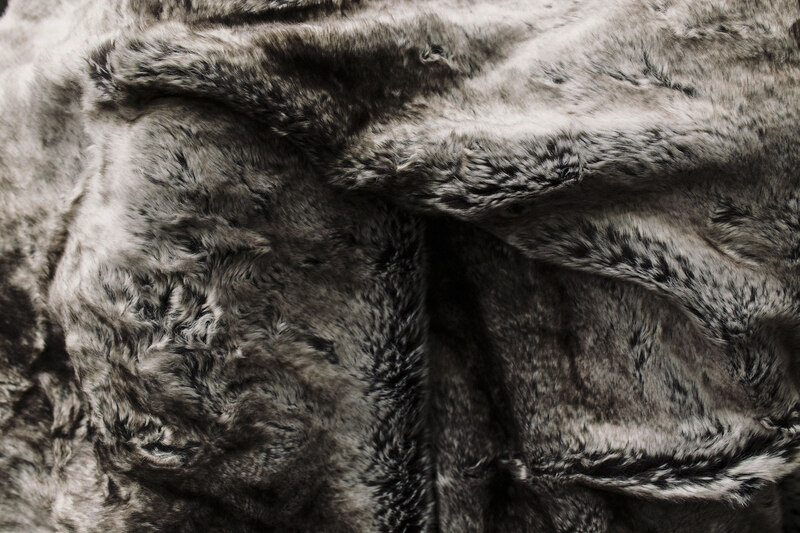 Artfully woven from finely spun strands, the Luxe Faux-Fur Throw from Restoration Hardware beautifully re-creates the natural weight, depth of color, and indulgent softness of genuine fur. 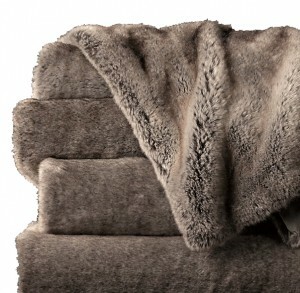 It’s available in six neutral colors, ready to match any room in your home.